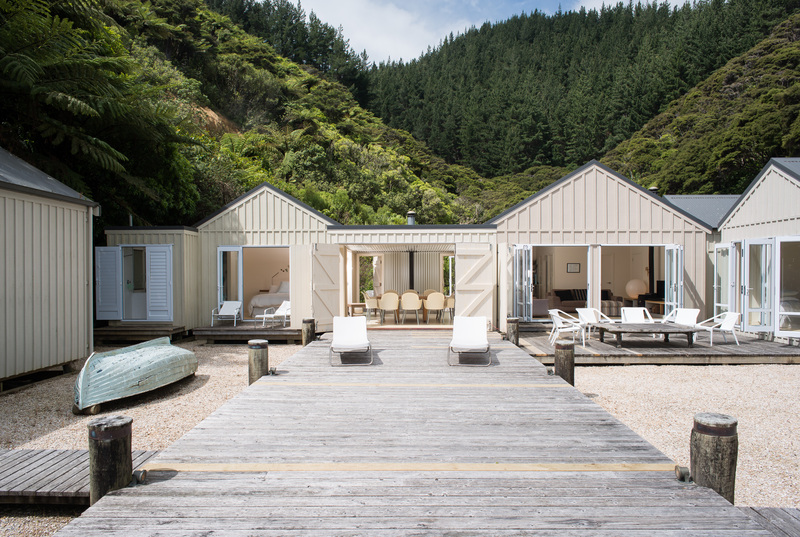 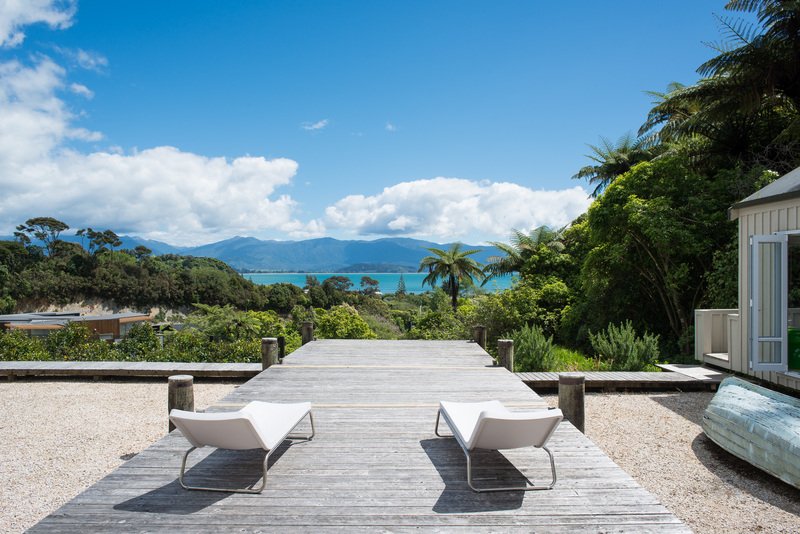 This collection of boat-shed inspired buildings overlooks Golden Bay, near Abel Tasman National Park. 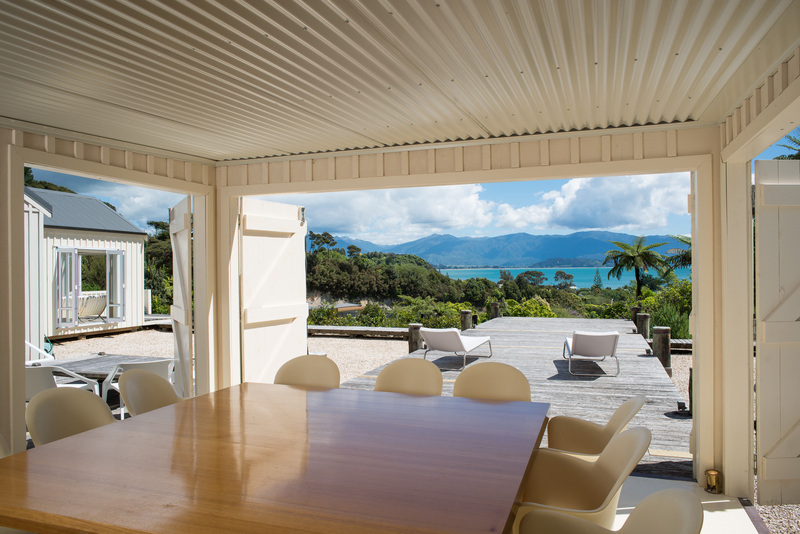 Expanses of timber decking connect them and extend the architecture to the landscape and views. 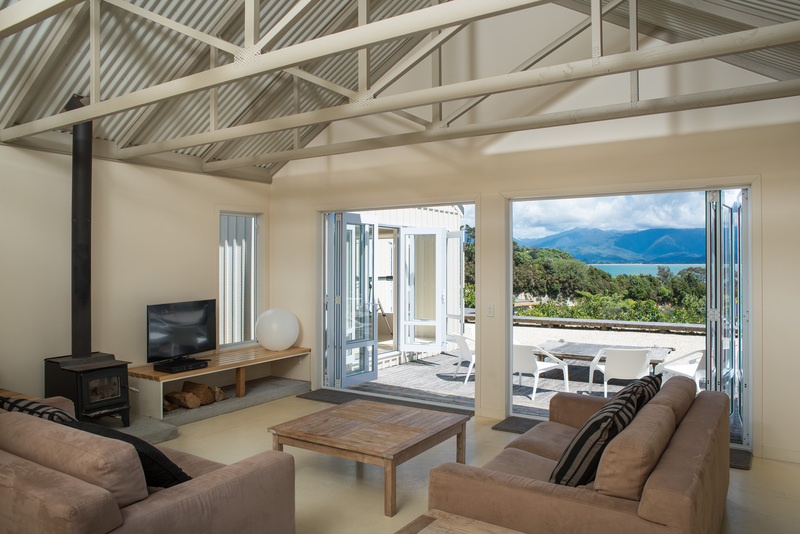 Materials were carefully chosen for a beach house aesthetic, low maintenance, and easy holiday living, such as painted board and batten cladding, open trusses, corrugated steel ceilings, stainless steel modular kitchen units and painted plywood floors. 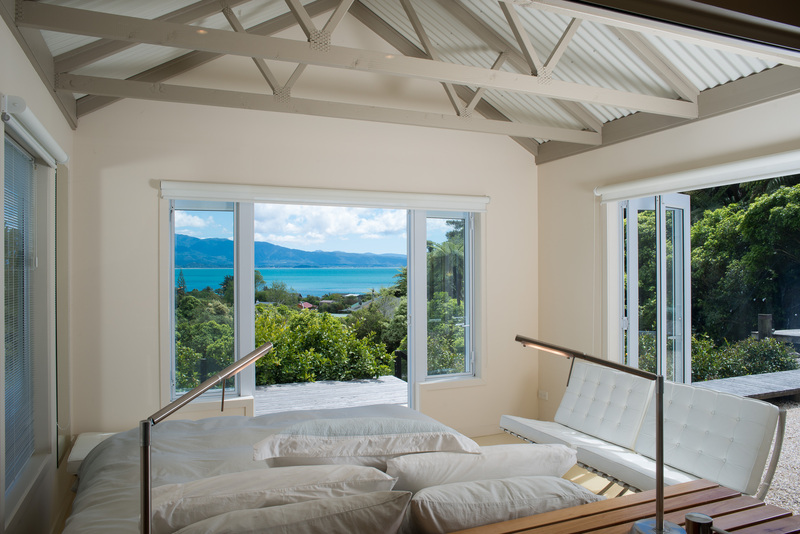 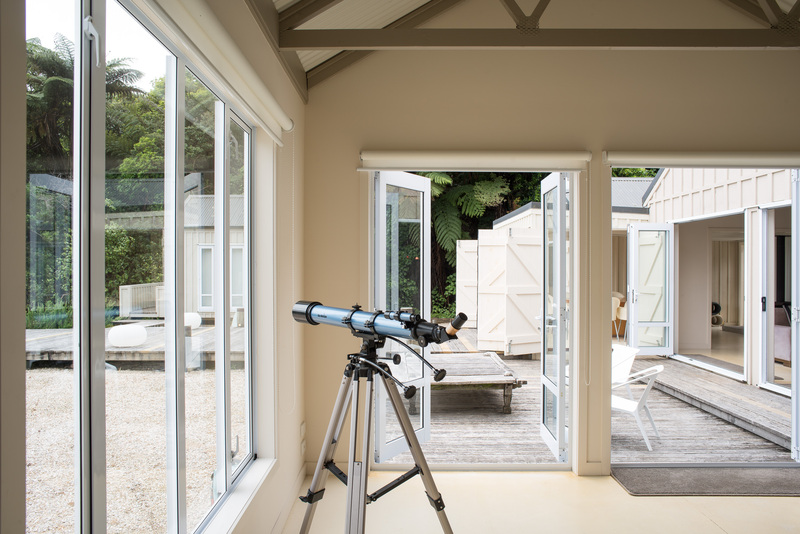 Every room is designed for connection to the outdoors and the views, including the bathrooms which look through the bedrooms and out to Farewell Spit across the Bay.